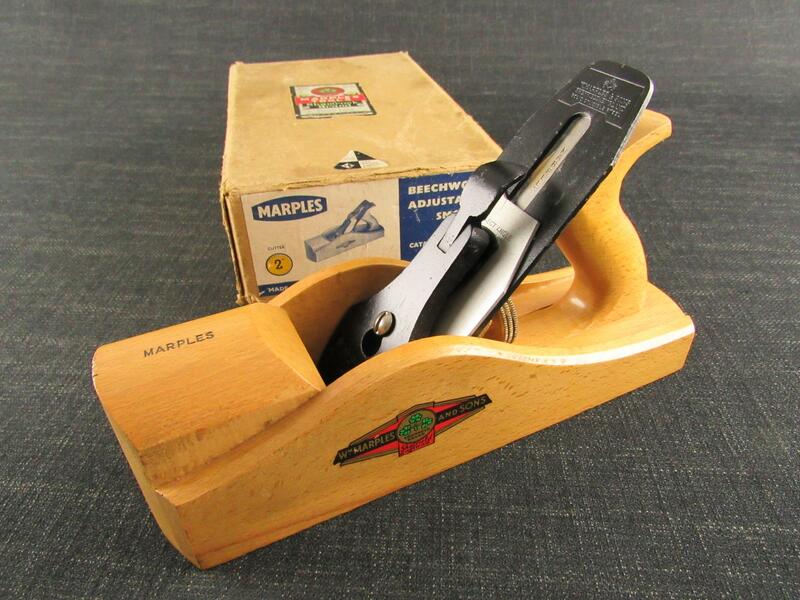 A narrow beechwood moulding plane by NURSE & Co. This plane appears to be a No.2 hollow or round plane that has had its sole and blade iron squared off. Marked 'C.NURSE & CO 182 & 184 WALWORTH ROAD LONDON S.E' on the toe with '2' stamped on the heel. Good length blade iron ( a touch under 1/4 inch wide at the cutting edge) and original wedge. Previous owner's stamps 'J.SIMPSON & CO LTD' to the toe, heel and blade iron. J (James) Simpson & Co were London based engineers specialising in the manufacture of pumping engines.